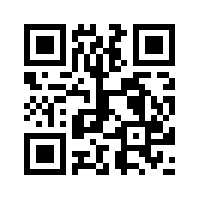 Created QR code to take students straight to bindery site. Met with Victorio Burcio-Martin vburciom@aut.ac.nz (Digital media designer for CfLAT) on 26 June with Louise James re making video demos for AUTonline and ARDEN bindery site. Very enabling – thanks Victorio ­– and we plan to have some bookbinding videos up online for start of semester 4. Louise has taken some video footage already, which Victoria will kindly edit. I plan to create a basic paper-engineering demo and also create HD video of some on my pop-up books. Victorio will film and edit (date to be arranged). We felt inspired by the possibilities, so I arranged for 55” TV screen to be installed in WE704 (from loans central) and was able to demo to Isabelle (resources manager) how the ipad will be used in teaching. Contacted Tim Durrant re getting ipad enclosures and contacted supplier. Have put in to Isabelle and Ron (HOS) for minimum 3x ipads and 3x enclosures (plus connectors) – 1x in bindery, 1x each installed in the WE block computer labs. Hope to get this happening by start of 4th term so students can test epubs at AUT, as well as access online resources in bindery through ipad wireless network. Fingers crossed we get approval. Downloaded Airserver to my laptop, so mirroring from ipad enabled (acts as apple TV to the big screen). Met with Sangeeta etc. to try to sort out staffing for GDS1 and HCC1 epub teaching. Seems like only I hour instead of 2 is possible, so approached Hohepa re the HCC1 epub teaching component. He will demo the Adobe publishing suite in HCC1 at an arranged a staff session: Adobe Digital publishing suite overview, 1.30 – 3.30 pm WB412 labs. He will also show facilities there for videoing lectures/demos (with 2x student assistants to oversea and edit footage), and briefly cover Ibooks author.